A couple of weeks ago I decided it was time to head south for a Palm Beaches Getaway. 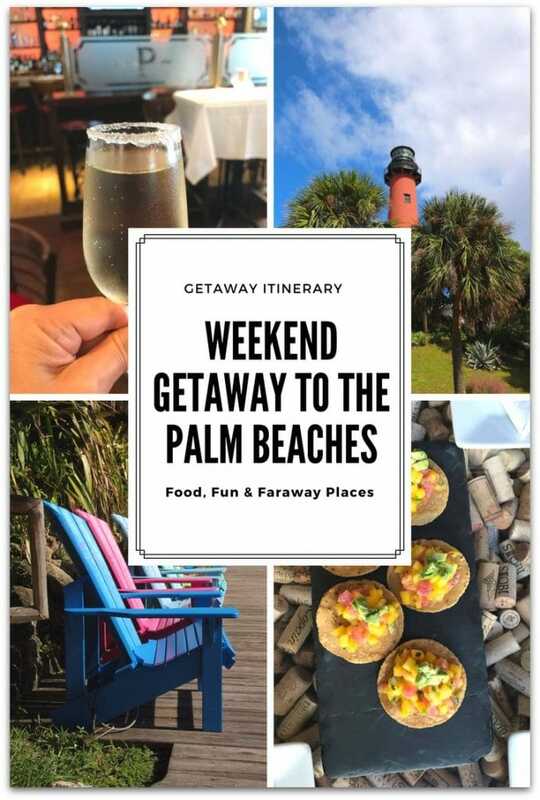 This is a sponsored post about a Palm Beaches getaway written by me on behalf of Cultural Council of Palm Beach County for IZEA. All opinions are 100% mine. A couple of weeks ago I headed south here in Florida for a getaway to The Palm Beaches. I’ve been to West Palm Beach before, but it was many years ago and a quick trip. I wanted to experience the area as there is so much to do. Palm Beach County has nine different arts districts, and each of them has their own unique vibe: Delray Beach, Boynton Beach, Lake Worth, West Palm Beach, Northwood, Antiques Row, Lake Park, North County and Palm Beach. It is possible to visit all the districts in a few days, but I would rather make a second (or third!) trip than to rush, so I contacted The Cultural Council of Palm Beach County to get some help with mapping everything out. The Cultural Council of Palm Beach County has a website that is extremely easy to navigate. Looking for music? Art? Special events? You can browse the different topics and upcoming events to help you plan. However, the Cultural Council is one-of-a-kind, complimentary service available to help plan your trip, so you can pick up the phone and call at (561) 471-2901, or simply stop in and chat with their Cultural Concierge. 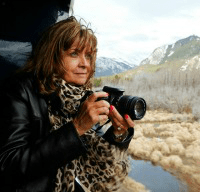 The program caters to all types of visitors (or even groups of visitors) and provides a personal touch organizing itineraries based on your interests. I chose to call because my visit was coming up fast, and I spoke with a Cultural Concierge who asked me about my interests. She was so thorough I felt like we were friends when I hung up! Within a couple of days, I had a long list of options based on my interests. There was so much I wanted to do, but just not enough time. I needed at least a week! I went through the list and chose my favorites, also looking at the cultural event calendar, and made myself an itinerary which you can follow below. My suggestion is to take advantage of this free service and have The Cultural Council of Palm Beach County make one just for you! This trip was focused on Jupiter, the northernmost town in Palm Beach County, and the largest city and county seat, West Palm Beach. I started my getaway by meeting my friend Jen from WordTraveling.com for dinner at Cafe Chardonnay in Palm Beach Gardens. Jen told me she knew the owner and said the food was really good, and she was right! We both ordered wine from the extensive menu and each picked out a couple of appetizers to share. The Wild Mushroom Streudel was fantastic. The chef has specials each night so this is definitely a great spot for lunch or dinner. PGA Boulevard in Palm Beach Gardens has a plethora of restaurants to choose from! My Friday began in Jupiter, which is a great place to begin if you’re driving from anywhere north as it’s the northernmost town in Palm Beach County. There is so much to do in this area. 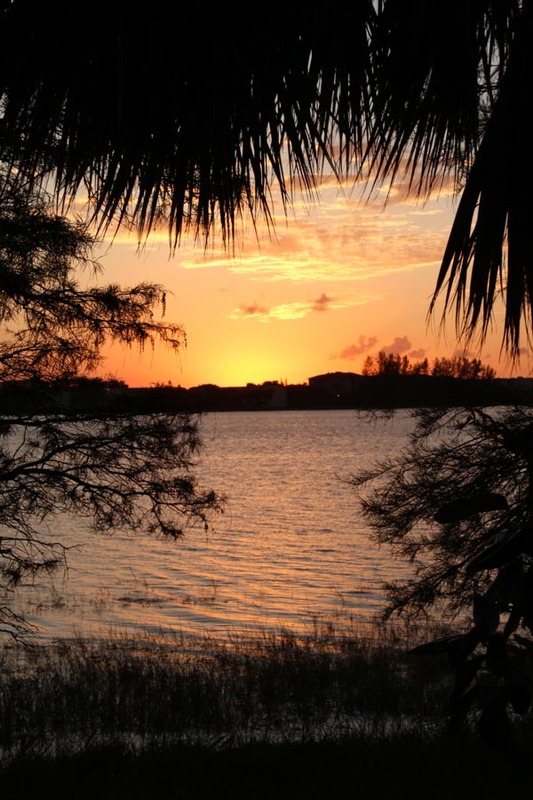 It’s easy to see why Jupiter was ranked one of “America’s Happiest Seaside Towns” by Coastal Living magazine. I started with a tour of the Jupiter Inlet Lighthouse & Museum, one of nine federally designated Outstanding Natural Areas in the United States. Tours of the Lighthouse are only available through the museum, and they leave every 30 minutes on the hour and half hour. You should allow two hours to see the museum and take the tour, which is fantastic. The docents really know the Lighthouse, and I promise you will enjoy the tour! 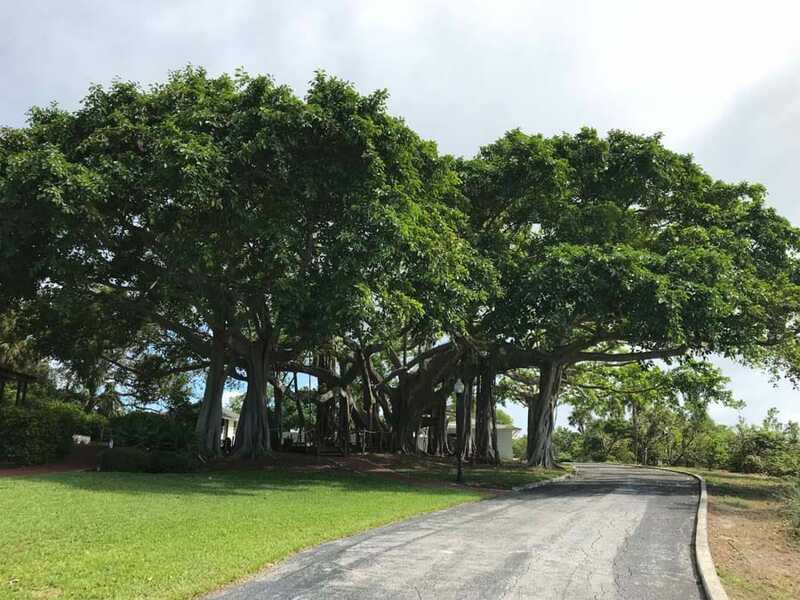 You’ll learn a little about this massive Banyan tree on the tour, too. Yes, that is one tree! Prices are $12 for adults, $6 for children 6-18. Children 5 and under are free, as are Lighthouse Members, & Active US Military and their immediate families with ID. I always enjoy the history behind the tour, and the museum is quite fascinating. Check it out before or after the tour. The Fort Jupiter Reservation was created by the Army after the Battle of Loxahatchee in 1838. In 1854, President Franklin Pierce signed the order to set aside a 61.5-acre site on the Fort Jupiter Reservation for a lighthouse. Construction stopped for 3 years between 1855-1858 for fear of Seminole Indian attacks and later because of extreme heat, mosquitoes, and diseases, called Jupiter Fever, most likely malaria or yellow fever. The Lighthouse was finally first lit in 1860. It was distinguished during the Civil War and relit in 1866. 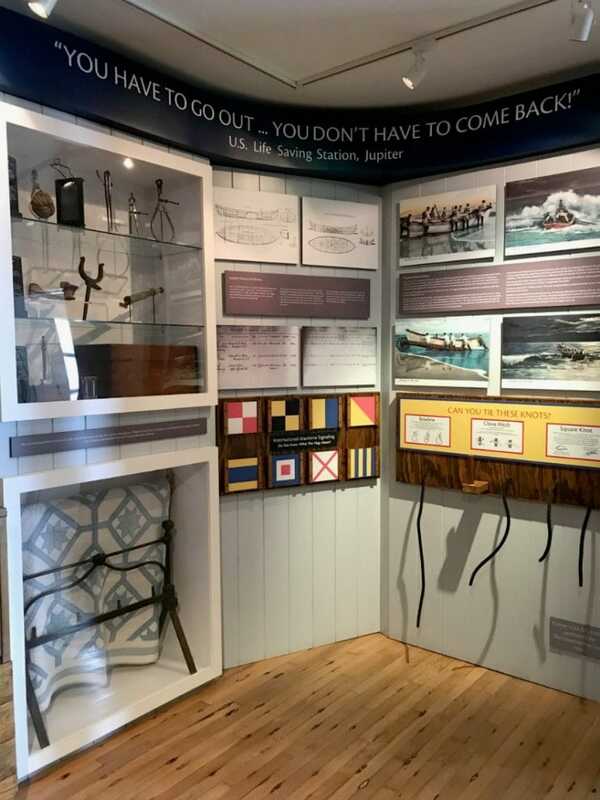 The US Coast Guard took over the operation of all US Lighthouses in 1839, and in 1940, the Navy’s secret WWII radio Station J came online as a tip-off station to listen to German U-boat transmissions and stop the sinking of merchant vessels off Florida’s east coast. As I said, the tour was absolutely amazing. One minute you are just thinking about getting great photos from the top, and the next, you realize the role this building has played in our country’s history. And yes, the views from the top of the lighthouse are spectacular! 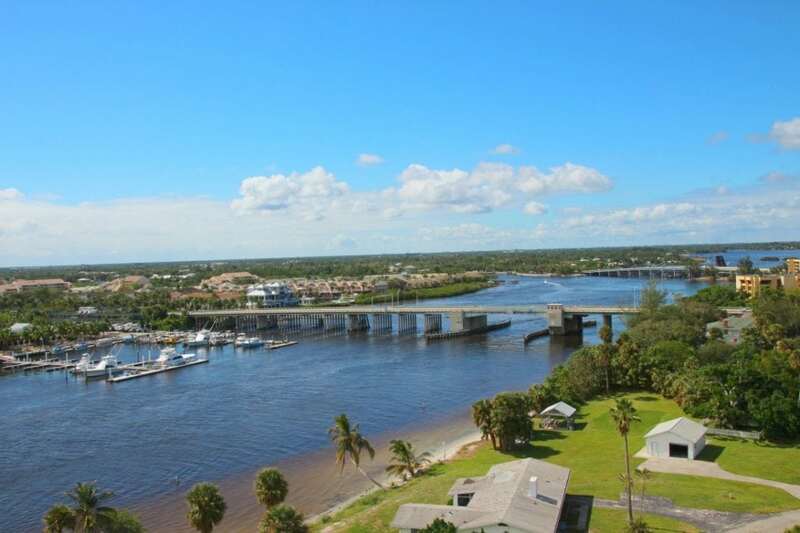 Notice I didn’t say ‘view’ because as you walk around you’ll see different views of Jupiter, including four bodies of water: the Atlantic Ocean, the Jupiter Inlet, the Loxahatchee River, and the Indian River. You will walk up 105 cast iron stairs on a spiral staircase. It is actually a quick walk. I was surprised! 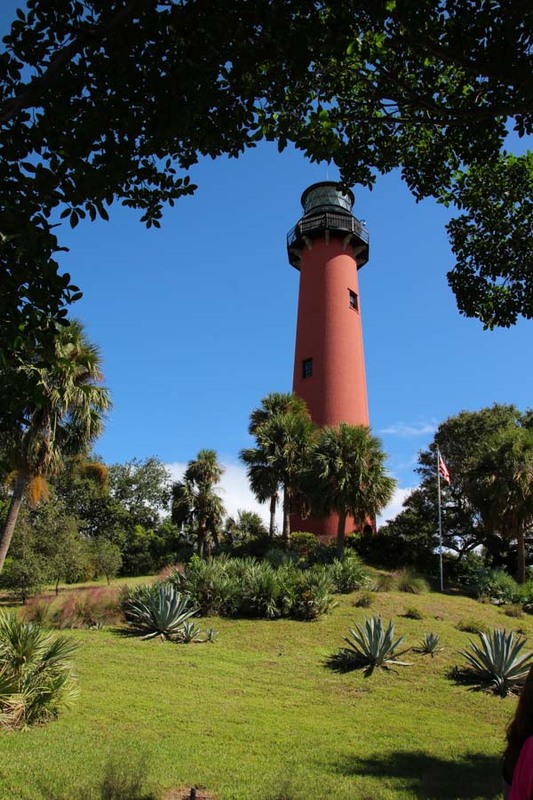 The most important aspect of the Jupiter Inlet Lighthouse is, of course, the light. It can be seen for 24 miles to a ship at sea, or visible for 40-50 miles away to someone in an airplane. The lens is a first-order Fresnel lens, was manufactured in Paris by Henry Lepaute, and is the oldest existing first-order Fresnel lens in Florida. Juno Beach is only about five miles from Jupiter, so it’s easy to visit both in one day. I love to travel this way as it’s how I find places I’d like to come back to. I found things I missed in both Jupiter and Juno Beach, so I’m looking forward to a return visit. The Juno Beach Pier is definitely worth a stop. I took a stroll down the pier and watched the people fishing. 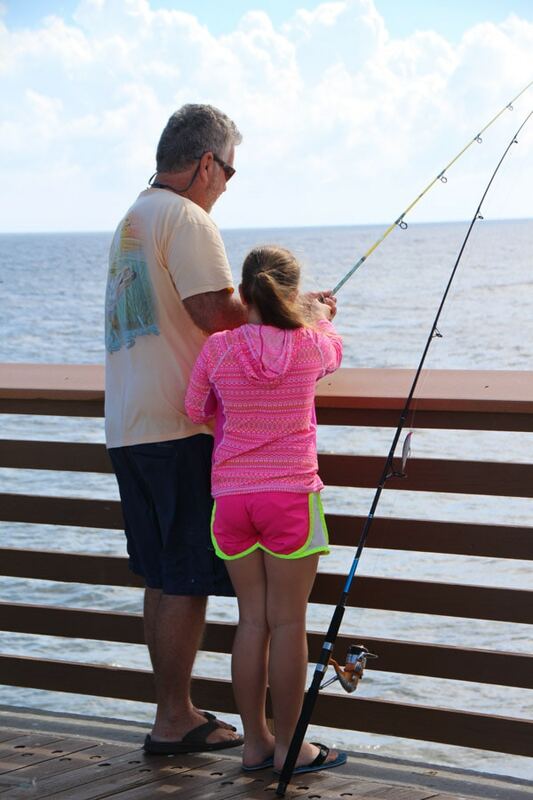 You can rent rods and buy bait right on the pier. It’s a great spot to get in some family time. I didn’t know that Juno, Jupiter, and Tequesta beaches in North Palm Beach County have some of the highest sea turtle nesting densities in the United States. Who doesn’t love sea turtles? 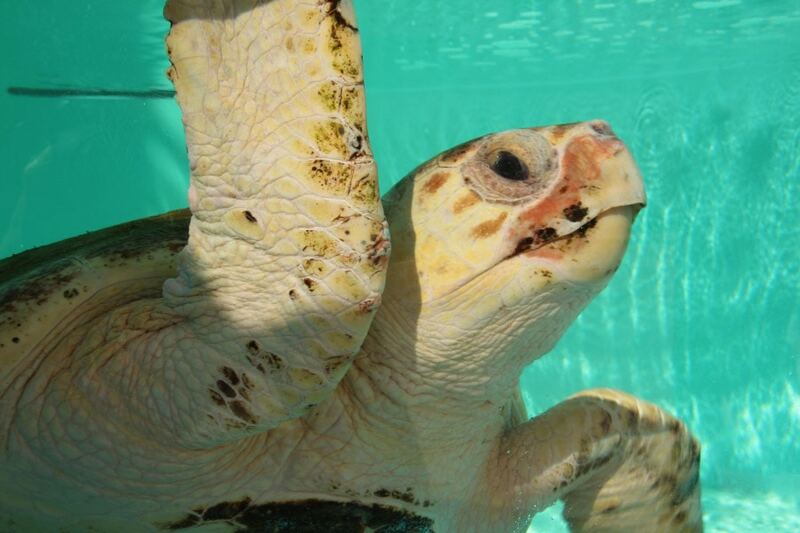 The best place to see Loggerhead Turtles up close and personal is at the Loggerhead Marine Life Center. 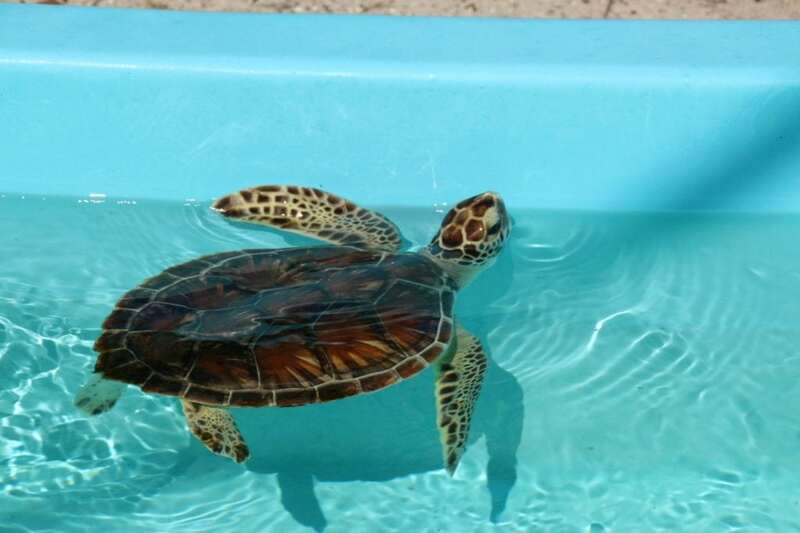 This non-profit sea and ocean turtle marine center is one of the top destinations in Palm Beach County for families. Though the kids (and you!) will be enamored with the turtles, this is also a great learning experience. The Center has a lot of interactive learning displays which the kids will love. Years ago, we didn’t realize things like leaving the porch light on was detrimental to hatchlings not heading to the water as they should. Through education, we now know to turn off lights that might attract the little guys so they will head toward the sea where they need to be. If you’re visiting on a Friday, Sunday or Monday, do take the public tour. An educated docent will show you around the turtle yard and the exhibit hall. Don, who showed me around, is a college professor and loves volunteering to educate visitors about what kind of conservation efforts they can do to help protect marine life. Public tours are every Sunday at 12:00 p.m., and on Fridays and Mondays at 2:00 p.m. The cost is $7. for adults, $5. for children under 5, and kids under 3 are free. You don’t have to register, but the tour is limited to 15 so it’s a good idea to arrive early and register right away. If you’d like a more involved tour, private tours are $10 per person with a minimum of 5 people (or $50 for groups smaller than 5). The minimum is still 15 people. If you do want to reserve, call the Marine Life Center at 561-627-8280 ext. 119, or email sthompson@marinelife.org. If you’ve been a reader for any length of time, you know I’m all about the food, and there are a couple of places in Jupiter that you must visit. My suggestion is to head to either the Loggerhead Marine Life Center in the morning (they open at 10 a.m.) and then head to lunch at Guanabanas. This fun restaurant is right on the water, so be sure to take a walk around. Need a rest or just want to take in the sights? 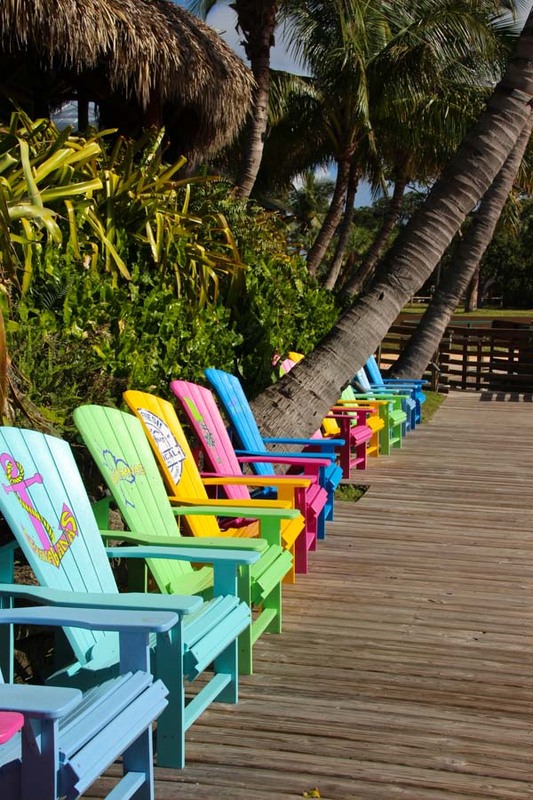 You’ll have lots of colorful Adirondack chairs to choose from. 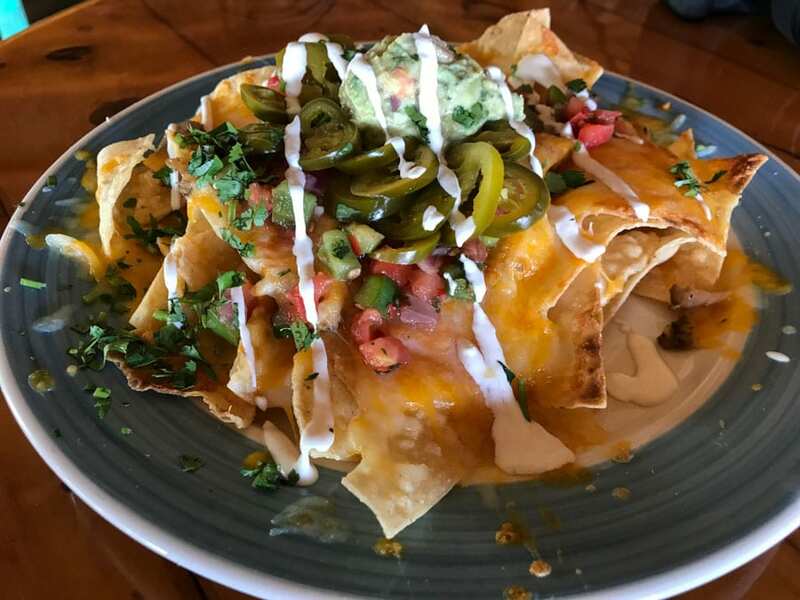 The menu at Guanabanas is extensive, but I was in the mood for a beer and nachos. I thought I ordered well but could have used a couple of extra people to help me eat it all! 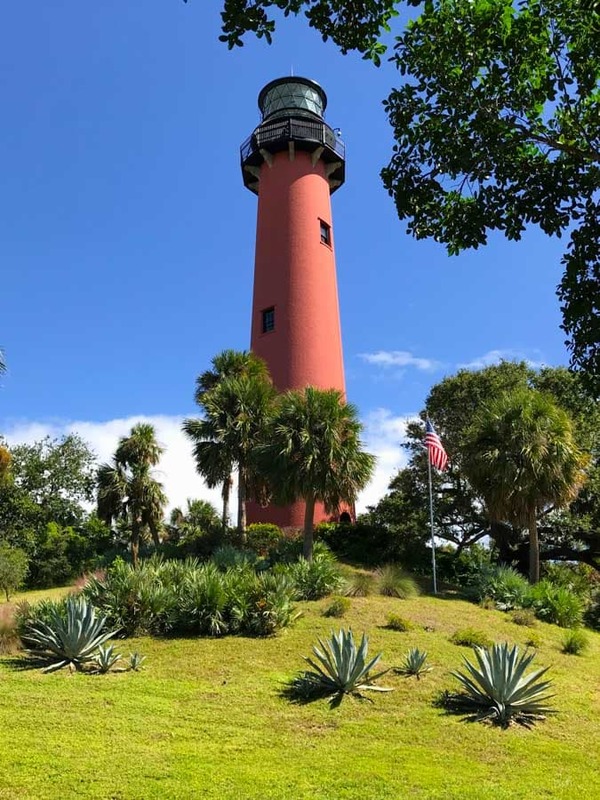 Next, arrive at the Jupiter Lighthouse for a tour, and then head to dinner at Square Grouper Tiki Bar where you can see the Lighthouse right across the Jupiter Inlet. 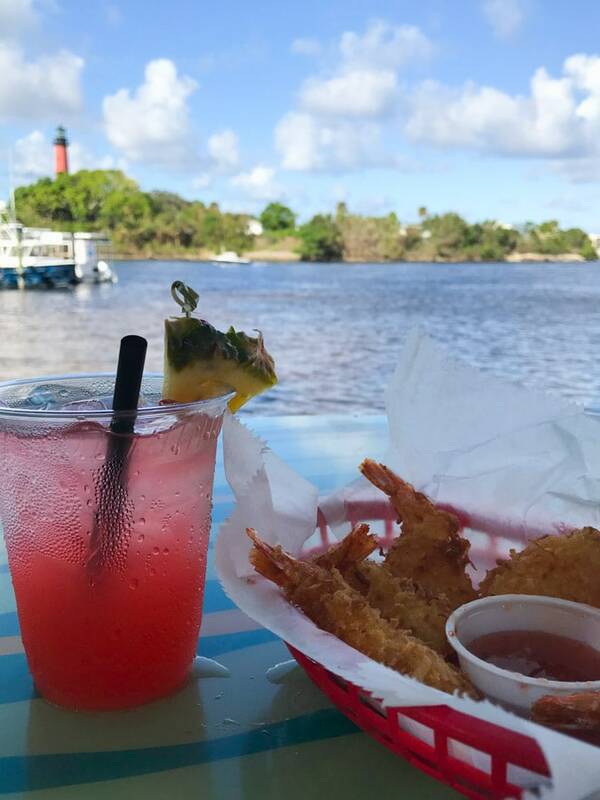 Order a cold drink and the coconut shrimp. Trust me on that choice. It was highly recommended and so delicious. 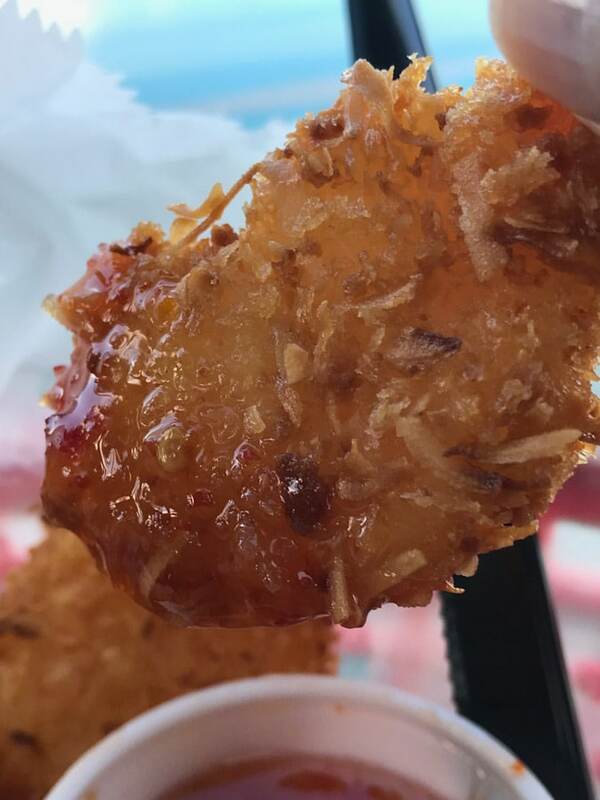 Plus my kids love coconut shrimp and they weren’t with me, so I didn’t have to share. Don’t judge me. Moms deserve a little free time! I actually had dinner plans so just had an appetizer at both Guanabana’s and Square One Grouper. I needed to be able to tell you where to eat, right?! 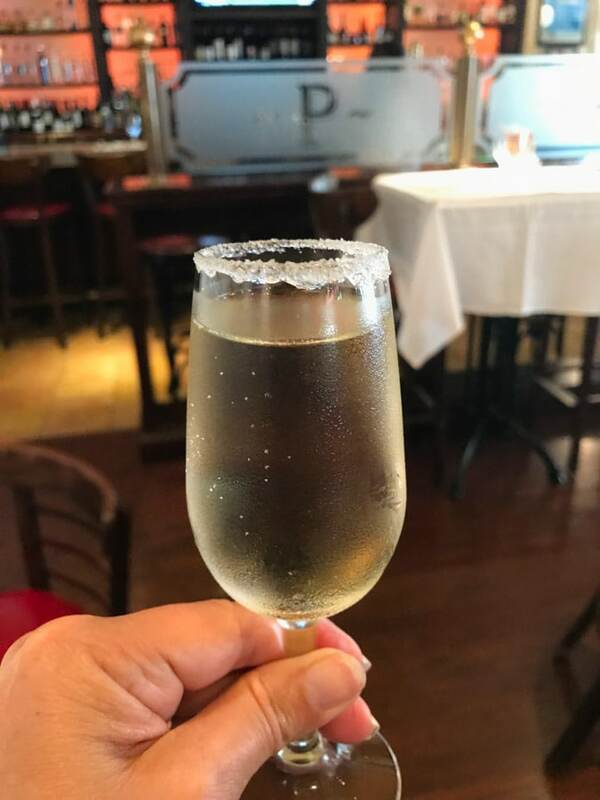 If you followed the itinerary for lunch and dinner, it would be the perfect time to go back to your hotel and relax as your time in West Palm Beach the next day will be jam-packed! The Cultural Council of Palm Beach County can help you with your hotel booking, too. West Palm Beach is the busiest area out of the three destinations I visited. I would love to spend a week just exploring! 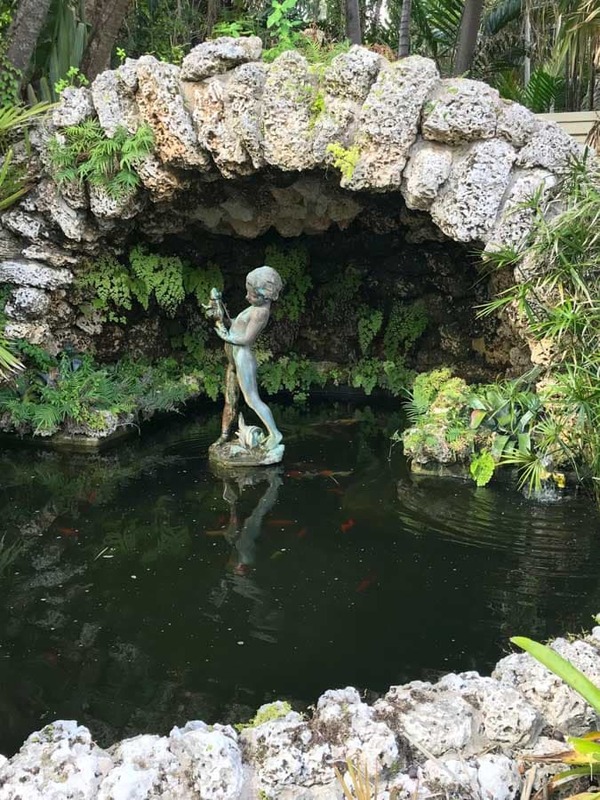 I decided to stay right in Palm Beach Gardens as it had easy access to everything I wanted to do on Saturday, but there are a lot of great hotels depending on your plans. I stayed at the Hilton Garden Inn and it was perfect. 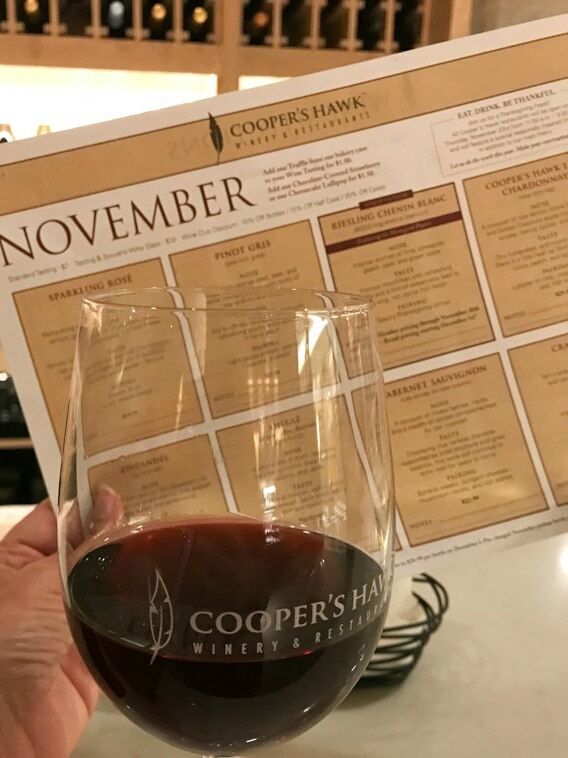 The Gardens Mall was right across the street from my hotel, so I met my friend April from AprilGoLightly.com for dinner at Cooper’s Hawk Winery & Restaurant. My suggestion would be to do a tasting and then sit down for a dinner of appetizers. We had a really hard time choosing as they have quite a menu. 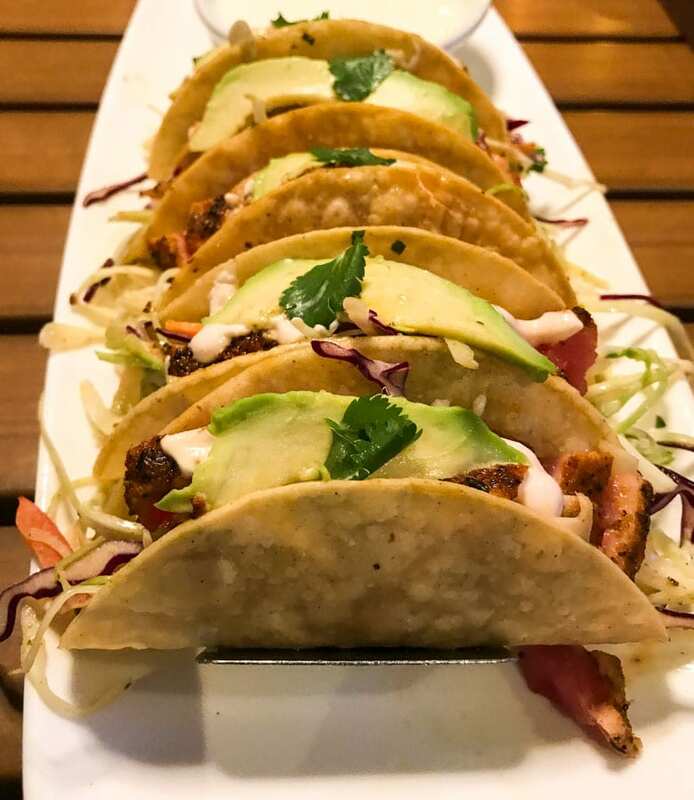 The Ahi tuna tacos were incredible. I love when I’m dining with someone who likes tuna as much as I do! 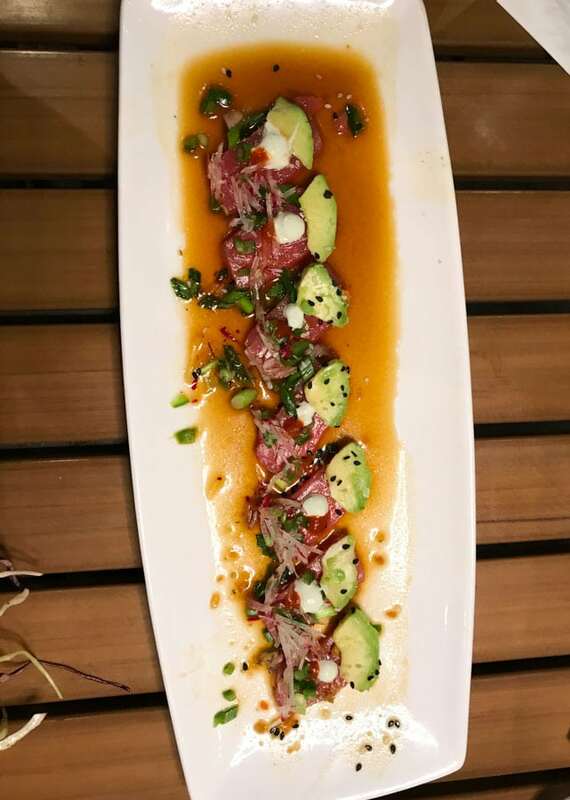 We also ordered the blackened Ahi tuna, seared rare with wontons and served with wasabi sauce, sriracha aioli, sweet soy, sesame, cucumber, and pickled ginger. So delicious. You also must order the candied bacon and artisan cheese pairing platter. Heaven on a plate. The desserts looked good, too, but we just couldn’t eat another bite and my bed was calling me. I was really lucky to be staying in the area on a Saturday because the Green Market is not to be missed. 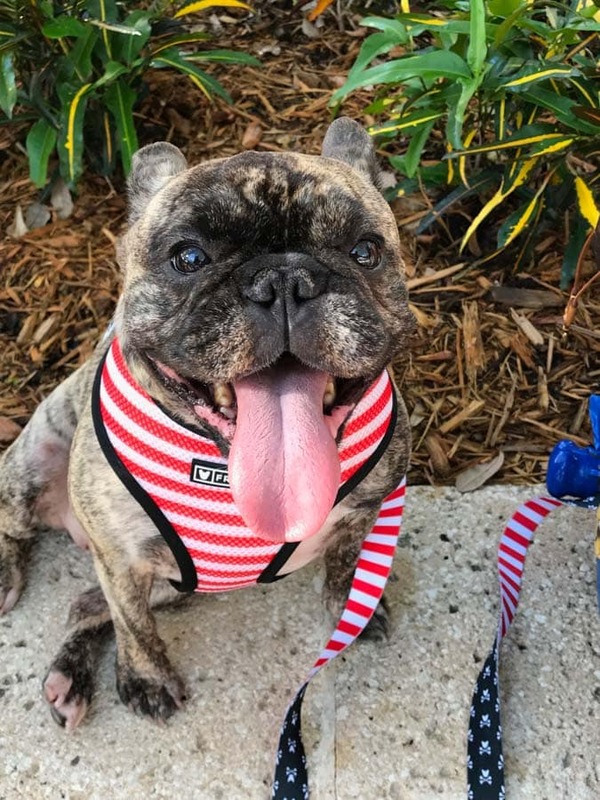 Held every Saturday from 9 am to 1 pm, October 7 through April 21, this is the place to eat breakfast or lunch, do a little shopping, and check out all adorable dogs! 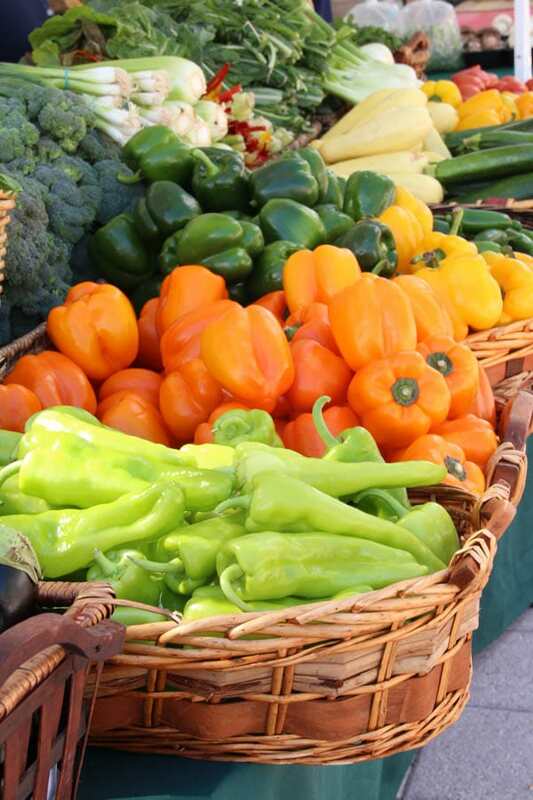 Want to buy the freshest of fresh veggies? This is the place. 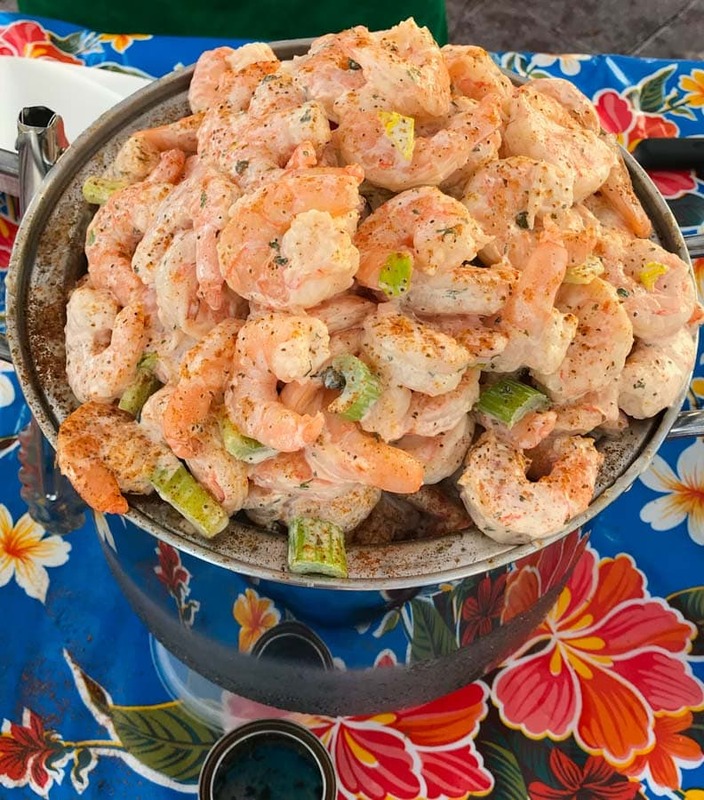 How about crab cakes or shrimp salad? Yum! I wanted to eat everything but had to hold back as my next stop was West Palm Beach Food Tours. 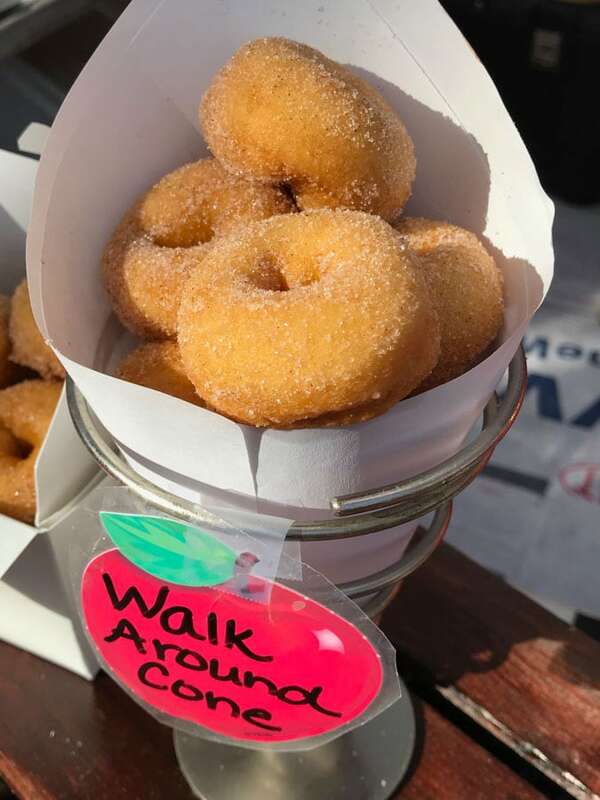 Did you know food tours are the number one trend in travel? That made me so happy to hear as it’s one of my favorite things to do when visiting a new destination! This was the best food tours I’ve been on yet. The tour mixes delicious food and drinks with the history of the area. Our guide Kristl was amazing. She really knows the history of West Palm Beach, and there’s a lot of it! She told us about Henry Flagler, founder of the Florida East Coast Railway, and how he basically invented modern Florida. How amazing is it that the new train, Brightline, which will connect passengers from Orlando to Miami and in-between, is using infrastructure Henry Flagler used a century ago? We also learned that 45,000 pilots were trained in West Palm Beach during WWII for destinations like the invasion of Normandy on D-Day. Kristl had fascinating stories to share. We sat around eating and drinking and chatting about the stories, and it was so much fun! Take a look at this short video to get an idea of what the tour is like. I also loved that the first thing we did when we met at Johan’s Joe for fika (you’ll have to go on the tour to learn more!) is introduce ourselves. I met some great new friends and it made the tour even more enjoyable. 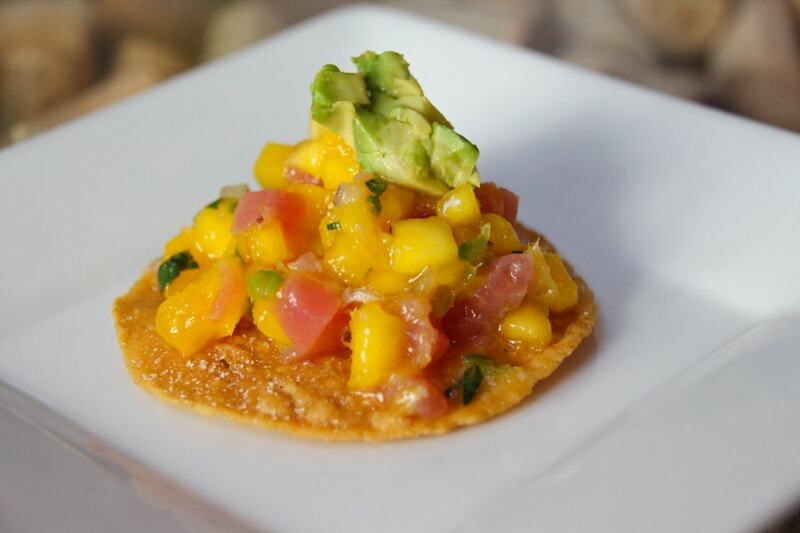 On the tour, you’ll be treated to 13 tastings including a dish that’s been featured on the Food Network. I’ll have more to share about the Food tour in a coming post, but it is a MUST when visiting West Palm Beach! 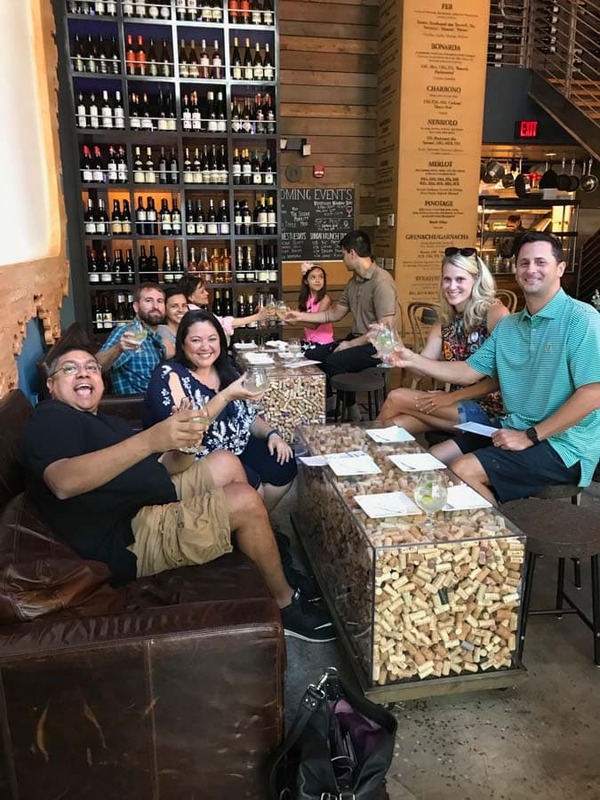 West Palm Beach Food Tours run Tuesdays through Saturdays. As the Food Tour last for about three hours, this may be a perfect time for a nap for you! After all, you are on vacation! 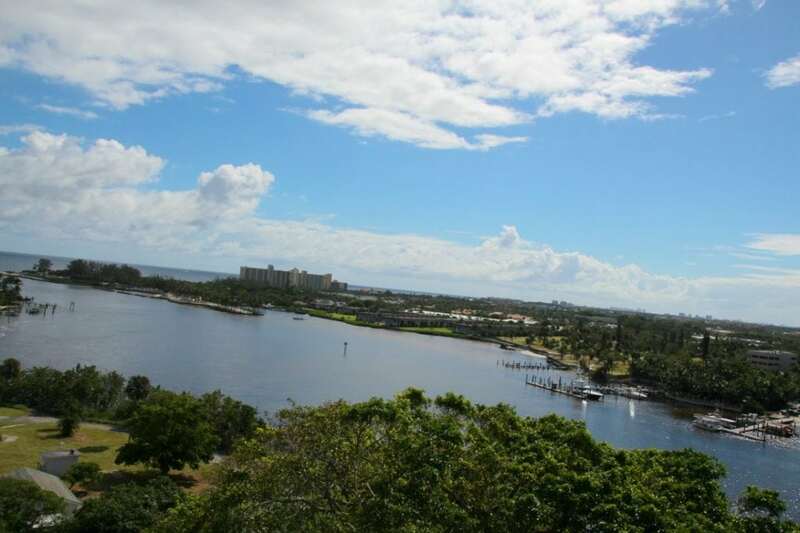 If you happen to be in town on a Friday, you can take a walking tour of West Palm Beach at 4 pm. You must make a reservation, and the tour lasts just an hour. The stars didn’t align on this one for me, so I hope to go back soon so I can take the tour. Tours are $10 per person. I decided to head to City Place, the upscale European-styled shopping area. You’ll find most of your favorite upscale stores at City Place, including a couple of my favorites, Anthropologie and francesca’s. Concerts take place every Friday and Saturday from 7-11 p.m. in the central courtyard. You’ll also find a comedy club, brew pubs, movie theater, bowling, and over 30 places to eat! I did a little window shopping before deciding to eat at Sweet Ginger Asian Bistro. I had the Beauty & the Beast roll and it was fabulous! It was time for me to recharge and get some sleep. On the way to my hotel, I realized I had the opportunity to catch a great sunset, so I parked my car and ran for it! It was worth it! The Hilton Garden Inn has a great restaurant for breakfast, so I grabbed a bite before heading out for my last day in Palm Beach County. I also heard the restaurant 3800 Ocean at the Singer Island Marriott has a great breakfast, so that is on my list for next time! 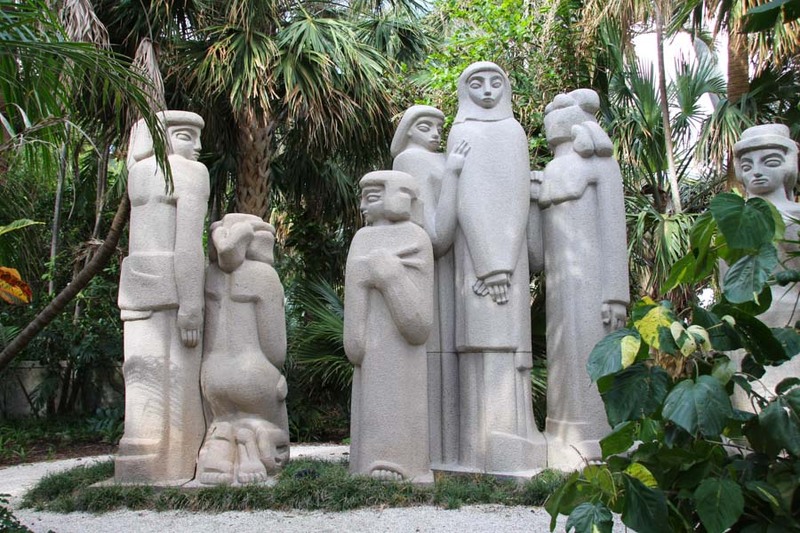 I had a long drive home, so all that was on my itinerary on my last day in The Palm Beaches was to visit the Ann Norton Sculpture Gardens. Ann’s story is fascinating. She drew from the time she was five years old and received her first sculpting tool at the age of eight. She moved to New York to study as many young artists do, and ended up being very well received and participated in shows at MOMA and the Whitney Museum of Modern Art. Her art has been exhibited all over the world. 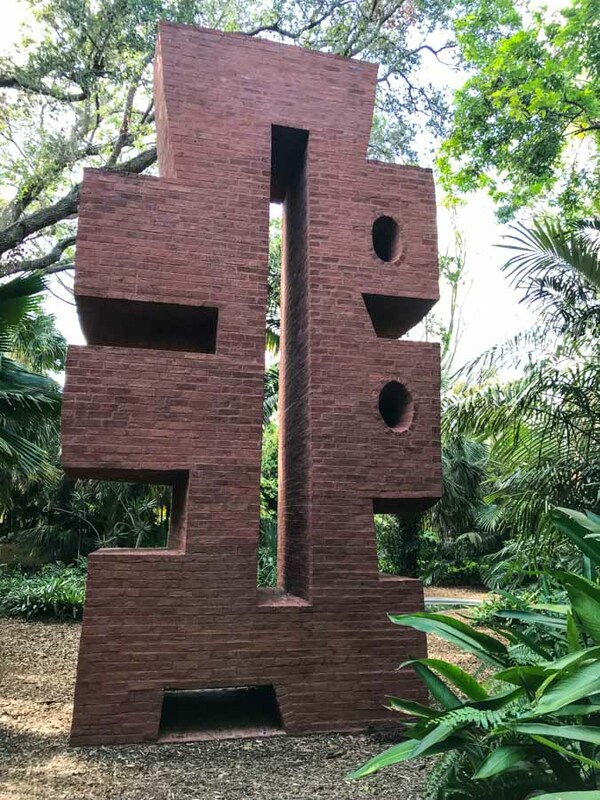 Today, we are lucky to have the Ann Norton Sculpture Gardens available to be able to not only see Ann’s art, but also take a behind the scenes look at her creativity in her personal studio, as well as experience the lovely gardens. I enjoyed walking along the paths to get to each sculpture piece. It was a relaxing way to end my time in the area. My time in Palm Beach County had come to an end, but I had discovered even more to do on a return visit. I had no idea Palm Beach County had a larger cultural sector per capita than any other location south of Atlanta, Georgia, and is planning $500 million in capital expansions over the next 10 years or so. That means there will be even more to see and do! I was surprised to learn that more than 42,000 cultural events are produced each year, like the SunFest in West Palm Beach, the largest waterfront music and arts festival in Florida. Maltz Jupiter Theatre is the only League of Resident Theatres (LORT) B+ certified theatre in Florida and one of five in the entire United States. Disney’s Newsies is playing there now, with music by Alan Menken who I interviewed a couple of years ago. You can find more about the street art and CANVAS, the outdoor museum by going to their website. The art below was a collective effort with each late musician being painted by a different artist. 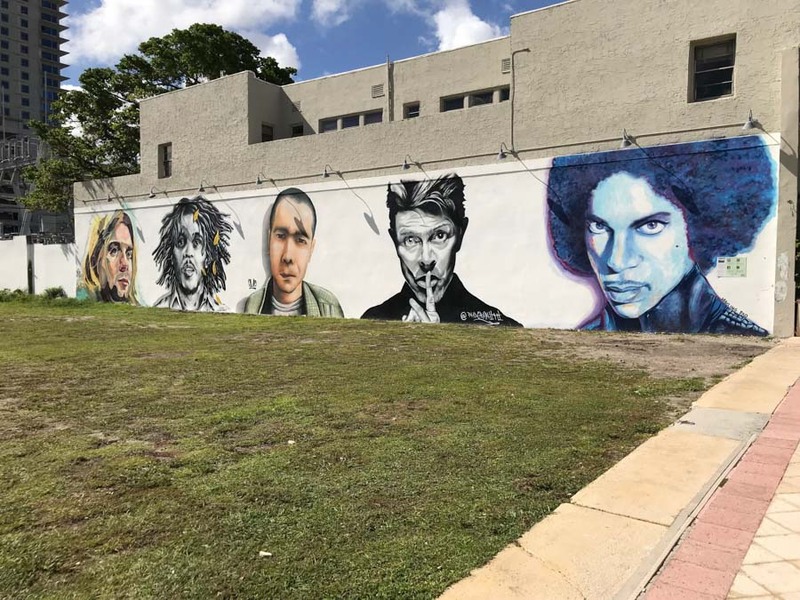 You could spend all day and not see all the street art in The Palm Beaches. And, of course, don’t forget to visit the gorgeous beaches! Visiting The Palm Beaches made me realize how warm and inviting the people are. It’s an exciting destination where you can see sophisticated arts experiences, including their world-class, 55-year-old opera company. Having a daughter who studied opera, that is something I hope to see on a return visit. 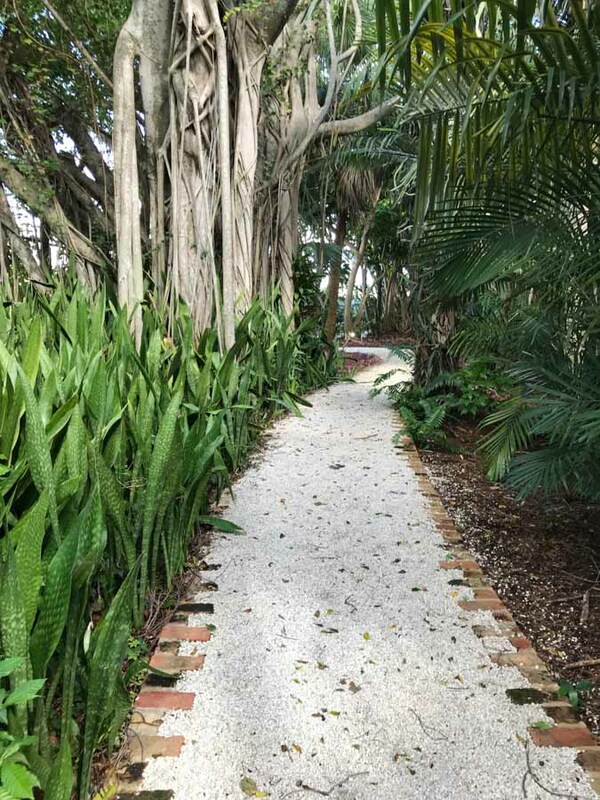 When you begin to plan your escape, the place to start is Cultural Council of Palm Beach County. It’s the best source for information about the arts, cultural organizations, and things to do in The Palm Beaches, Florida’s Cultural Capital®. 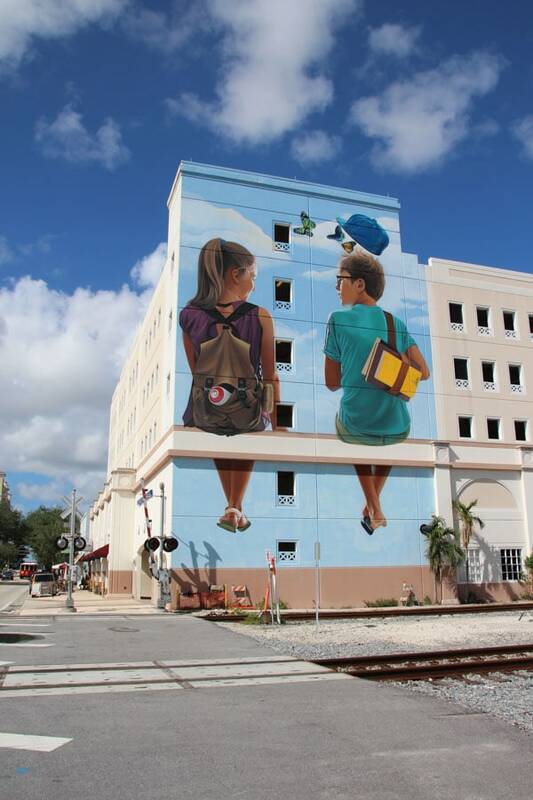 Located in Downtown Lake Worth, the Council is also a Visitor’s Center, featuring a gallery for artists who work or live in Palm Beach County, so visiting in person is a great option, too. Visit The Cultural Council of Palm Beach County’s website to start planning your trip to visit The Palm Beaches. Regardless of where you’re headed next, you’ll want to print a few of these free vacation packing lists so you don’t forget anything. I would love a weekend get away in Palm beach. It sounds perfect right now with the cold weather here in Boston. I don’t envy you, Robin. I hated the winter in Maryland. That’s why I moved to Florida! Come on down! Florida has some of the most beautiful beaches. I would love to go to a couple of them some day. They really are beautiful. As much as I travel, I am still wowed by the beaches here in Florida! Yes, you should definitely make the trip! 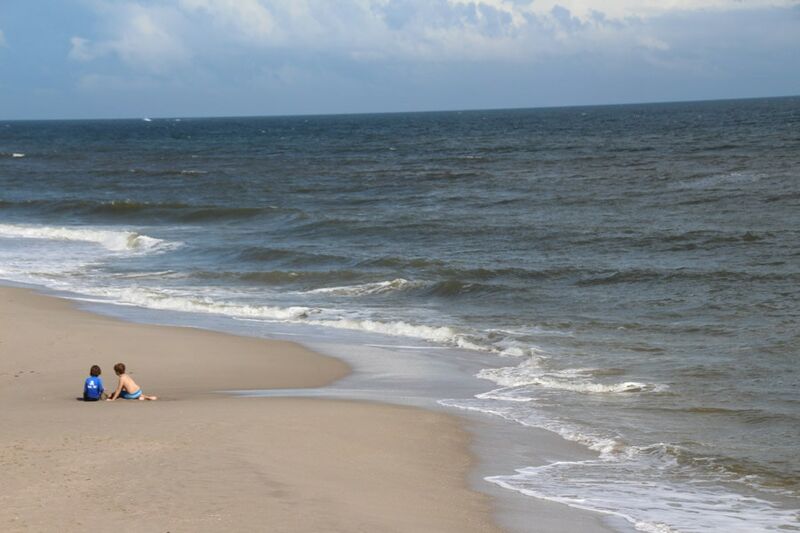 A getaway to Palm Beaches sounds so great right now! I would love to spend a solid week there with my husband. Yes, Stacie. It’s so nice for a couple’s getaway! What a gorgeous place! I love all the artwork, food, and pure relaxation you can find there. Count me in! It’s pretty amazing, Christie! 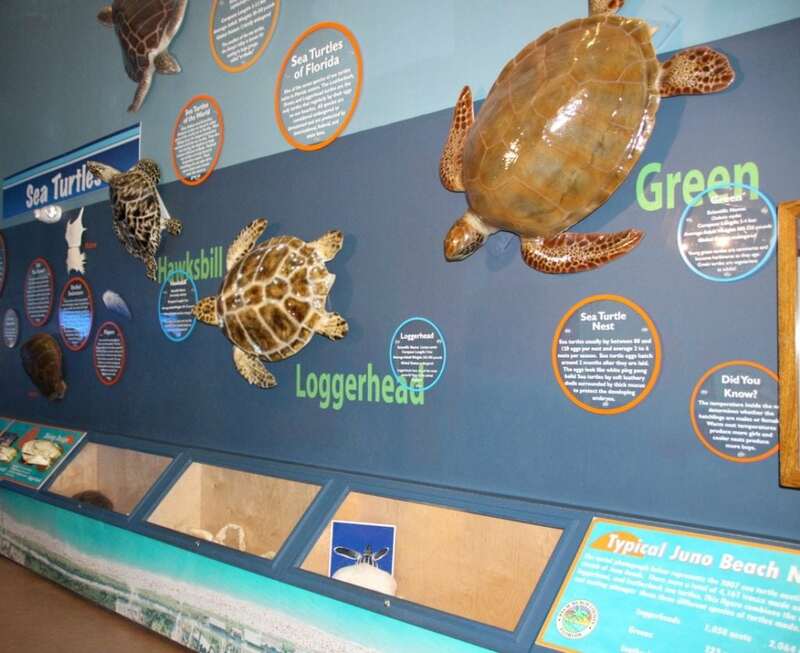 I know you would love it, and your kids would love the Loggerhead Marine Life Center! Wow the views really are amazing. I would love to go to the Loggerhead Marine Life Center. I have always had a special place in my heart for turtles. You’d love it, Claudia. And the baby turtles are so cute! You can really get up close for photos, as you could see from mine. And the views! I must have taken 50 photos of that sunset! It would be so nice to take the whole family here and just enjoy what the place has to offer! Love that there’s so many things that you can do! It’s definitely worth it. It’s a great trip, AnnMarie. Something for everyone! Now this sounds like quite the experience! I could use a getaway with some food like at Guanabana’s and Cooper’s! You would love it, Liz! The food is crazy good in that area! Florida has always been a destination that I want to visit again and again. 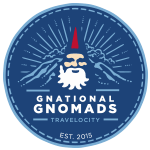 All the nice food, places to visit, culture, and of course, the beaches! So beautiful! Yes, Diana, that’s why I decided to move to Florida! I love it here! The museums are really nice to go to especially if you have kids! I think this is the perfect place for a vacation! I miss the beach! The Fall is awesome and it’s one of my favorite seasons but it makes me miss going to the beach too. This place is amazing and has plenty to offer! The weather is perfect here right now, Jocelyn! The beach cools off in the evening. I love putting on my sweatshirt and watching the sunset. It’s pretty much bliss! We’ve only been to the theme parks in Florida, but I would love to go back and explore more of what they have to offer. I know my girls would love seeing the sea turtles and I would really like visiting the lighthouse! I love the theme parks, and was just at Disney World yesterday, but there IS so much more to see. And Palm Beach County has so much art, theater, food, shopping, and the beach! That sounds really easy and is a great idea! That would be one awesome trip. Yes, it’s great when you have the itinerary all planned out for you! Definitely a fun trip! Looks like a great vacation destination. I know my kids would love to visit the Loggerhead Marine Life Center. It was really cool to see. I didn’t get into the hospital, but maybe next time. I’ve heard it’s a really amazing tour. I have to make sure I get to more places in Florida other than Disney World. There’s so many places to see and enjoy. I am bookmarking this article for reference. Thanks for the loads of information you shared! You’re welcome, Annemarie! I will have more coming soon on the food tour! It was really fun! I love the Loggerhead Center. I have been once and it was so neat to see. Yes, it was, Pam. I can’t wait to go back with my family! I would love to visit Jupiter, Florida mainly because it’s a cool name! Looks like there are some great things to do there. It’a great little beach town, Shannon, with so much to do. Make it a point to go! I would love to visit the Jupiter Light house. There is always something so mesmerizing with old lighthouses. I will have to remember to give this place a visit when we get a chance to be in Florida. Make sure you do! It was really a great tour. I feel like we need to preserve these pieces of our history, you know? I know you’ll enjoy it. Wow! Palm Beach County seems like an awesome travel destination and a definitely worth exploring area, Kelly. When’s the best time of the year to go there and are there any good hiking trails there? There are absolutely hiking trails there, Agness! Beautiful ones, too! I would contact the Cultural Council and ask them to set up a hiking itinerary for you. It’s a free service. I included a link in the post. Enjoy! I live in the best area of Florida- ok, I’m biased. 🙂 Awesome to see you while you were here and I’m so glad you liked my recommendations at Guanabanas and the Loggerhead center! miss Florida in hotels times square ny.